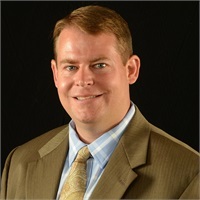 Christopher J. Spoltman, CFP® | Summit Consultants, Inc.
Chris joined the firm in 2004 as an investment representative. In addition to general financial planning, Chris is also responsible for continually evolving our client’s financial planning experience through best practices, technology, and other means. He also serves as the firm’s primary retirement plan contact. Prior to joining our practice, Chris worked in client relations for two years at American Funds, one of the nation’s largest mutual fund companies. Chris earned his BS major in Management and minor in Finance from Indiana University. He currently holds his securities registrations with LPL Financial, as well as state insurance licenses. Additionally, he earned his CERTIFIED FINANCIAL PLANNER™ (CFP®) designation in 2012. Chris is a member of the Financial Planning Association and Financial Services Institute. Both groups work to promote stronger financial planning initiatives. Chris and his wife, Kristin, have four children. They are both active in their church and enjoy spending time with family and friends. In his spare time, Chris enjoys attending and/or coaching his children in various activities, as well as operating his many remote control devices as an enthusiast of the discipline.